Santa got you a new drone for Christmas, and you may be thinking, “What are the drone accessories that are best for my new drone?”. You were overjoyed when opening your Christmas gift and discovered a brand new Phantom 3! Even before Christmas dinner the battery was charged, and you were ready for your first flight. 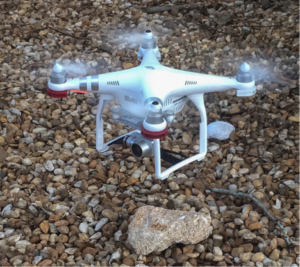 DJI does a great job of providing everything you need to fly your Phantom 3 out-of-the-box. But these must-have drone accessories are well worth the modest investment and will take your safety, fun and efficiency to the next level in no time. You can never have enough batteries. But they don’t charge themselves. 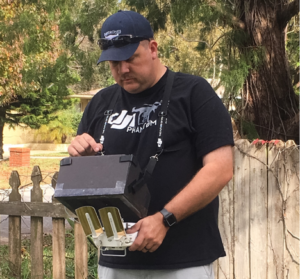 Most drone pilots will add several extra batteries to their drone case. 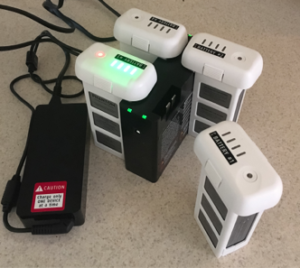 The included DJI battery charger is able to charge one battery at a time, and it can be inconvenient to keep returning to check the charging status and change out a charged battery. The solution is to add a battery charging dock to your supplies. This dock will allow you to have four batteries that will all charge automatically in sequence. The dock will sense which battery has the most charge, and charge it first, before moving on to charge the next lowest battery. Once the full charge cycle is complete, you can return to find all four batteries ready to fly again. A damaged propeller is the bane of the drone pilot, especially if you forgot your spares at home. A great way to protect your propellers is to add a set of prop-guards to your drone. These allow you to fly your drone with less worry of the propellers striking an object while in flight, or the ground when landing. 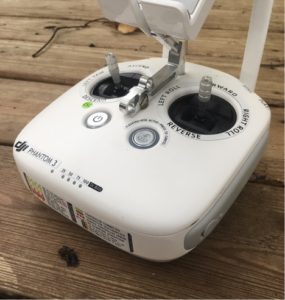 Versions are available that can be permanently installed to your drone, or incorporate a quick release system so that they can be removed when not in use, or for travel. An additional advantage is an increase in visibility for orientation. Having red prop-guards on the front with white prop-guards on the rear makes it much easier for the pilot to determine which end is forward. Always make sure that your prop-guards are installed securely before taking off so that they do not come loose in flight, strike a propeller they were meant to protect, and cause a crash. Nothing is better for a drone pilot than flying on a beautiful sunny day. But this can make seeing the screen of your device difficult with glare and a washed out screen. An easy addition is a sun-shade or visor. Many different aftermarket versions are available, but you can also build your own out of foam board. You can find templates by searching for your specific device. A sun-shade is a low cost accessory that greatly increases the visibility of your device. A definite must for any drone pilot. Your Phantom 3’s transmitter has a lot of different control sticks, buttons, switches, rollers, and other functions. It is very easy to forget what switch exactly does what. An easy solution is a set of labels that keeps the information at your fingertips. These self adhesive stickers are easy to apply, easy to read, and provide a wealth of information right where you need it. The heart of the drone for most pilots is its camera. 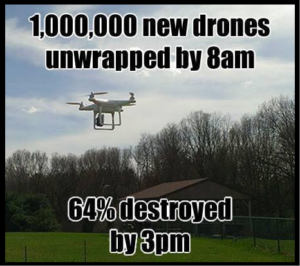 But the camera and gimbal system is a very fragile component of your drone. And other than the bottom of the landing skids, it is the closest to the ground when landing. This makes it very susceptible to damage if it strikes an object during landing. Several companies produce an aftermarket gimbal guard that spans between the landing skids. 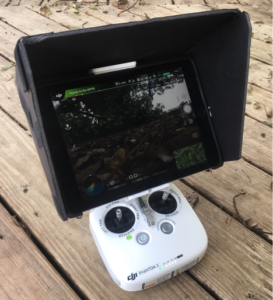 This allows your camera to have a full field of view, but with a bit of protection in the event of a not so soft landing, or having to put down on rough terrain. The Phantom 3 series has a relatively small set of landing gear. 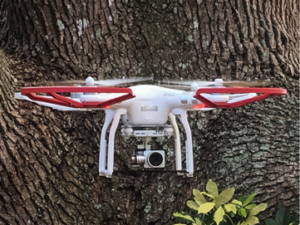 These do a great job of keeping the landing gear out of the camera’s view while in flight, but can allow the drone to tip while landing, especially if the wind is blowing at your landing site, or landing on uneven terrain. For a new pilot they can provide a more stable landing while learning and prevent a tip-over crash. 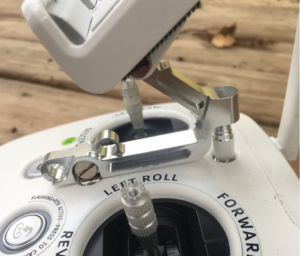 Landing gear extensions widen the “wheelbase” of your drones landing gear. They are typically a snap-on accessory that are easy to install and remove as needed. Be aware that during certain maneuvers they may become visible in your shot. Professional photographers and videographers know that even though your lens does most of the work of capturing the image, filters can be just as important for that perfect shot. They may reduce glare, allow the camera to slow the video shutter speed for a more cinematic video, or increase photo contrast. Typically, a filter set will include a; UV filter, circular polarizing filter, and neutral density (ND) filters of various strengths. They are a great addition to your flight bag and allow you to explore what your camera can do. Keep an eye out for a future article with an in-depth discussion of filters, and what they can do for you. The Phantom 3 Advanced and Professional models provide a great mobile device holder to install on your transmitter. 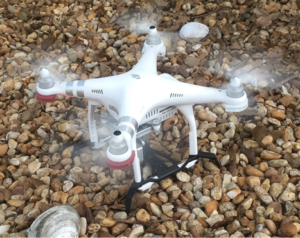 However, many Phantom 3 pilots have found that the plastic bracket that comes with the drone wobbles when using a larger device such as a 7” or larger tablet. An easily solution is to purchase the metal version designed for the Inspire 1 transmitter. I added this to my Phantom 3 Advanced transmitter and it now holds my Ipad 9.7” tablet without any movement. Various aftermarket metal versions are also now available. 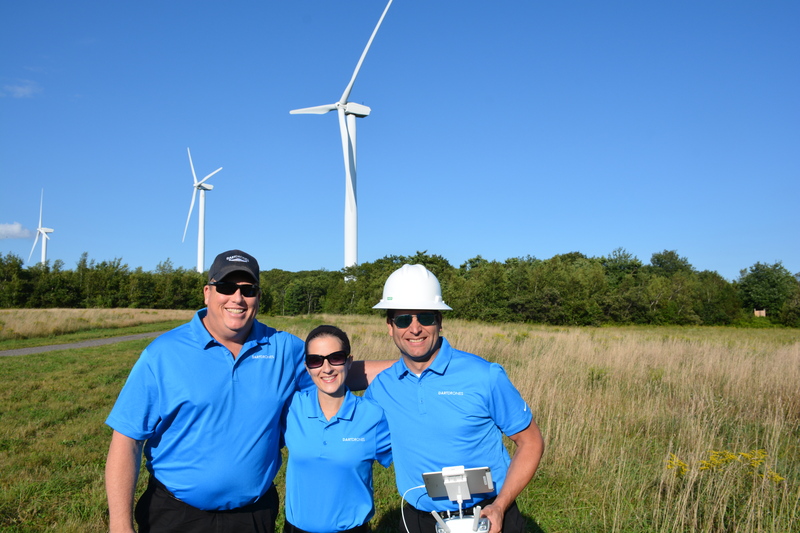 Your transmitter is a vital piece of equipment for flying your drone. And having control of it during your flight is crucial. Dropping your transmitter could cause serious damage to it, your mobile device, and can cause a crash of your drone. A lanyard to allow the transmitter to hang from around your neck is a great way to keep it secure. For long flights, DJI also offers a harness that works very well and distributes the weight of the transmitter to your shoulders and back rather than your neck. I have added a few extra straps to mine that attach to the sides of the sun-shade with Velcro that allows me to use my mobile device easily without having to constantly hold the transmitter. The radio signal technology used by DJI is phenomenal. But in today’s world of WIFI devices, it is possible to sometimes get a fuzzy video signal at times. This can cause your displayed video image to lag, freeze, or lose connection completely. 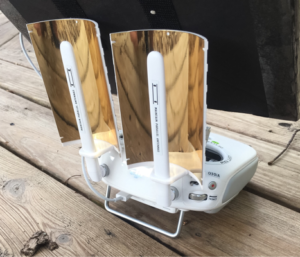 Adding a set of parabolic antenna signal boosters to your existing antennas allows your drone to better communicate with your transmitter. I have flown in situations where I encountered video feed issues due to an interference source that would cause the video to intermittently freeze. After installing the signal boosters I was able to have a clear, and freeze free, video feed for the remainder of the flight. The best part is they are easy to install and require no modification to your transmitter. The DJI Phantom 3 series are truly incredible drones that set a new standard when they were released. With their prices dropping with new additions to the DJI product line, they have become more popular than ever. 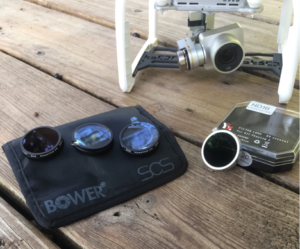 These are a few of the drone accessories that I have found to be very useful for my Phantom 3 Advanced, and have made my own flying to be more enjoyable and safer. 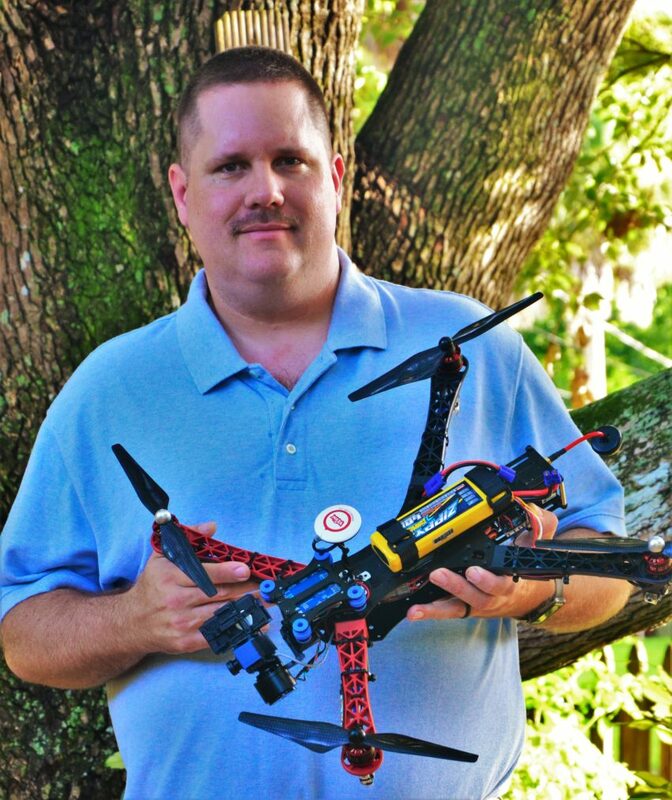 Follow us on the DARTDrones blog for new articles, and don’t forget the new Drones 101 course to get you started. Gain access to a free resource which covers a pre-flight, during flight, and post-flight checklist.